Mt. Rainier rests peacefully during the twilight hour at Tipsoo Lake. Mountains are cathedrals: grand and pure, the houses of my religion. I go to them as humans go to worship. From their lofty summits, I view my past, dream of the future, and with unusual acuity I am allowed to experience the present moment. My strength renewed, my vision cleared, in the mountains I celebrate creation. On each journey, I am reborn. Superb shot. I love your gallery, Robert! Superb, beautiful colors and reflections! WOW! the colors and light are incredible! 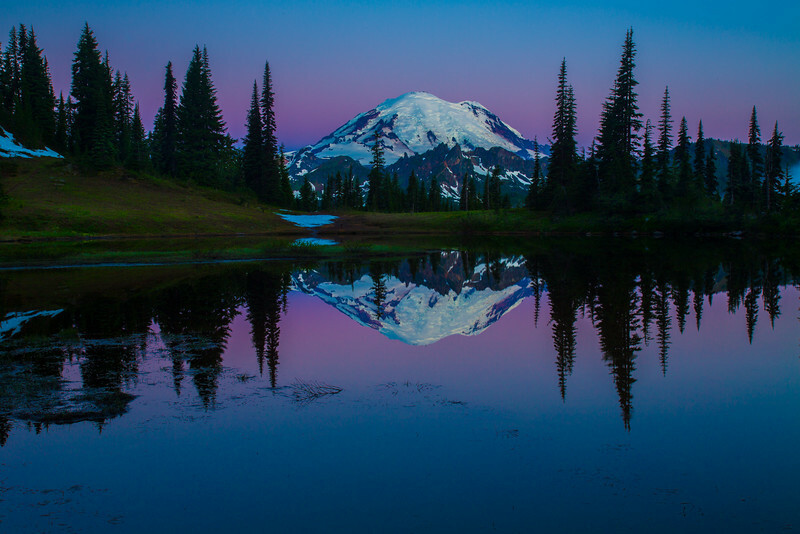 I love the rich pink/purples tones, the lovely reflections and the contrast provided by the snow-capped peak...outstanding image!